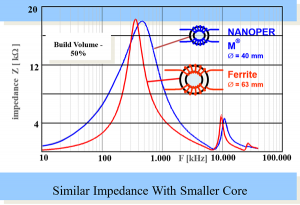 Nanocrystalline Replaces High Perm Ferrite in Common Mode Chokes | MH&W International Corp.
MH&W International Corporation offers a large range of Nanocrystalline NANOPERM® toroidal cores for common mode chokes. 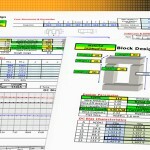 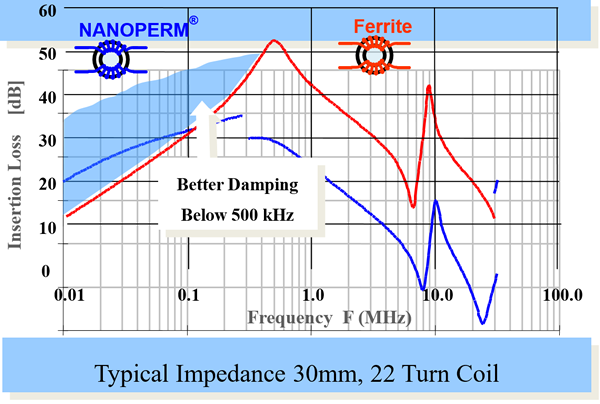 The main requirement on a EMC filter choke is high impedance. 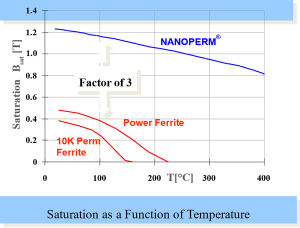 Useful characteristics of NANOPERM® are high permeability of up to a factor of 10 over ferrite, higher saturation induction, and extended working temperature up to 180°C. 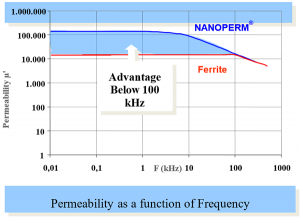 There are significant advantages of Nanocrystalline material over 10K and 15K perm ferrite. 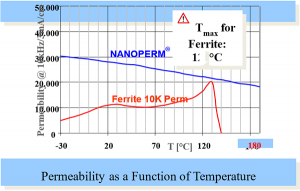 10k and 15k perm ferrite material are difficult to manufacture and difficult to keep within spec. 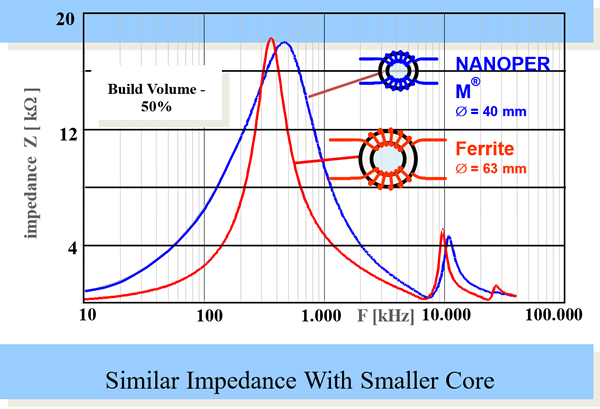 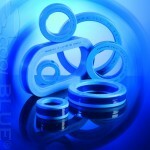 Nanocrystalline has a volume reduction of 60%, and weight reduction of 65% over typical ferrite chokes. 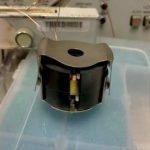 Especially critical in space and weight limitations. 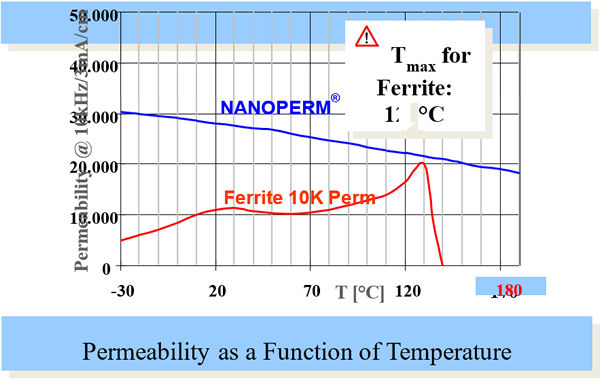 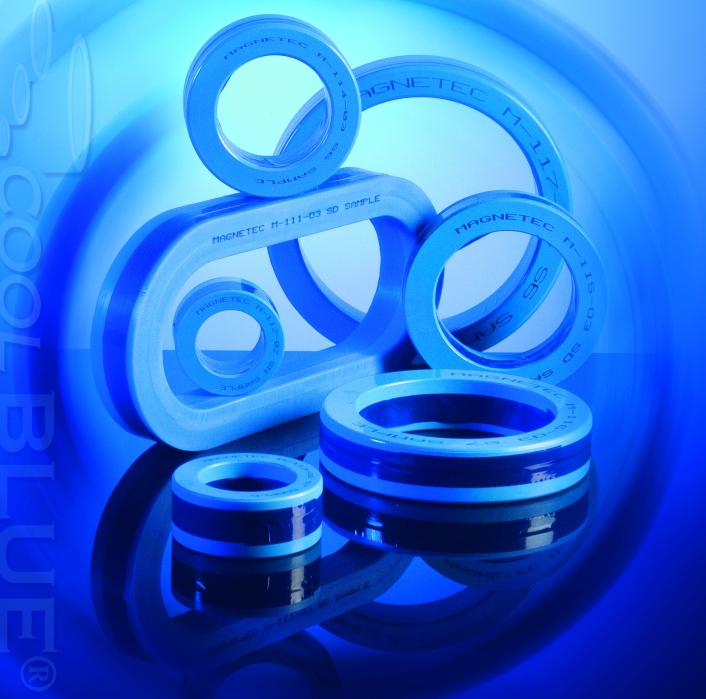 Nanocrystalline is available with Permeabilities of 1,000 to 90,000. 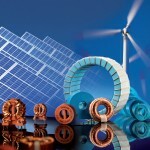 MH&W keeps stock of some of the more common sizes of Nanocrystalline toroids. 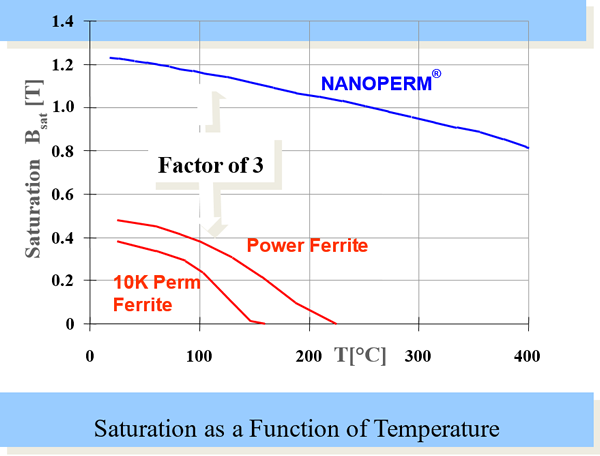 Here is a table of the most prevalent Nanocrystalline toroids.